Instead of just asking for financial support, we thought it’d be cool to show you some of the items we need to buy (most are needed annually) and what we use them for. Browse through the items we need and learn about mushing gear at the same time! Thank you for your time and contribution! Anyone that buys gear or donates over $100, will get some cool Nautique Sky Kennel swag and a huge thank you on the Nautique Sky Kennel Facebook Page! Carhartt Arctic Quilt Line bibs are Deke’s bib of choice. There are probably warmer, more water proof choices out there, but Deke loves the toughness of this material. Mushing isn’t just riding on a sled, its kneeling to bootie dogs, or to cut meat, or to bushwhack through the brush so tough bibs are a must! A local company in Fairbanks called Apocalypse Design makes sleeping bags for your hands! These mittens are made for one purpose - to keep your fingers from falling off. You can't do much else with them besides hang on to the sled so under gloves are worn underneath. They are great for throwing hot hands chemical heaters in them too. The Canada Goose Resolute Parka is Deke’s preferred choice to keep him warm. Last year it proved to keep him warm at -50 for 150 straight miles in the Yukon Quest 300. Its down filled, and has the most amazing hood with a fur ruff to help channel the wind and snow away from his face. Its also made of a thick durable canvas and is very tough to rip. He bought his 1st Resolute Parka in 2008, so time to get another one that should last for the next decade! Deke uses a layering system of long underwear. Most of the time he’ll use three layers on both top and bottom. The 1st layer is skin tight, usually made of wool or a wool blend to help breathe. The 2nd layer, is a bit looser, also of wool. The 3rd layer is this Fortress Crew Neck which has foam insulation sewn inside of it! This stuff is awesome! Each item of long underwear is about $100, and Deke will need 6 items. The reason Layering is essential is mostly to control sweat. In the Arctic, is very important not to sweat EVER!, as that will eventually lead to being wet and getting really really cold! Everyone knows what these are! Mushers use them a lot too! Usually Deke puts these on the inside of his parka first to warm them up, then either inside his boots or mittens. He usually doesn’t need them till it gets close to -30° and colder. However, they are always packed for the trip! Its dark in the winter in Alaska, so the majority of mushing takes place with the assistance of headlamps. Deke’s headlamp uses AA batteries. He uses these lithium AA’s because they aren’t affected by subarctic temperatures. He will easily burn through 200 of these batteries in a season! This is the best headlamp Deke has found for the fairest price! It’s nice because it uses a rechargeable battery pack or AA’s. That’s important because its not always possible to charge batteries on the trail! Its 1000 lumens in brightness too which is about the same as a high beam of a car headlight! This is Deke’s dream sled. Made in Maine by mainemadedogsleds.com and it is what is called a tail dragger. The rear portion is where Deke will set his cooler (containing dog snacks and dog food) and voila…he has a seat! It’s made with aluminum runners and has carbon fiber sleeved stanchions. Light weight is the key! Deke will be using this exact sled in the Yukon Quest 1000, which is why he’s buying it this year! This is made by Non-Stop Dogwear and is the Nansen Nome Harness. Most of Deke’s dogs will be wearing an appropriately sized version of this. The harness has ample padding, making it comfortable for the dog during pull action. A wide chest pin provides a good fit for the dog, ensuring the optimal use of power exerted during pull. The rear piece is unique in the way that it automatically balances the pull point for dogs who work diagonally. A reflective band makes the harness visible in the dark. I will need 20 of these for the 14 dogs that are racing plus 6 more to interchange if necessary. Its all about protecting the dogs feet! Every foot of every dog will be fitted with a booty before every training run and every checkpoint in the race. For the Yukon Quest 1000 and having 14 dogs, that's 56 feet to put booties on at every checkpoint! Deke will easily go through 1000 booties this year. He'll pack over 600 for the Yukon Quest alone! Every musher carries what is essentially a 5-gallon metal paint can with a 12-quart pot that goes inside of it. This is mandatory and very frequently used the equipment! Methanol fuel (or HEET) is placed inside of the modified paint can and lit to create an alcohol cooker. Water, snow, or ice are then melted for dog food. Dogs digest and recover much better with a warm meal and Deke will use the hot water to heat up freeze-dried food, or vacuumed sealed Papa Johns Pizza for himself! Runner plastic goes on the bottom rails of the sled and is what makes the sled slide. Its not just one color fits all though. Similar to ski wax different colors are used for different snow conditions. For example, black is used when the temperature is -20 or colder. Deke has to have several colors available to use depending on the snow conditions. While Deke is on the sled, he can stop the team with his sled brake, but snow hooks are used to hold the team while he's not on the sled. He uses two snow hooks to hold the team while he's feeding, or making an adjustment, or fixing a booty on a dog. These hooks are designed to set themselves in the snow as tension is pulled. A fun fact is mushers can't start mushing at the beginning of the season with sleds till there's enough snow for a snow hook to work. Its easy to go, but much harder to stop in low snow conditions! The dogs almost always get their coats put on during rest, and often will run with them on as well depending on temperature. These coats have insulation, reflectors, and a separate piece that protects the sensitive parts of the boy dogs. Straw is of course used to insulate the dog houses here at the Kennel, but also used on each and every camping trip as well in races. The dogs love the fresh straw, especially after a long hard run. Its super important for insulating them from the snow and allowing them to have a good rest. They learn to know that when the straw is thrown down for them on a camping trip, they can soon look forward to a hot meal and a good rest! We will easily go through 50 bales this season! The dogs run side by side in pairs of two. For a team of 14, which is what we will start with in the Yukon Quest, there will need to be 6 sections of Main Line (also known as Gang Line). Each main line section has two tug lines that are connected to the back of the dogs harness and two neck lines that are connected to the collar of each dog. In other words, each dog pulls on their individual tug line and collectively they as a team pull on the main line to make us go! The neck lines are to help keep the dogs organized. We need six sections with each section having one main line, 2 neck lines, and 2 tug lines. We build our own dog houses at Nautique Sky. We have found a great recipe with a house that can be created with a single piece of plywood and a 2x4. We also like to make the roofs removable so they are easier to clean and put straw in them. We usually make about 5 new houses per year to keep our homes up to snuff. Staw is always inside them with extra straw coming during cold snaps. Each "dog lot" has a metal pole in the middle of it. The pole is hollow and these swivels or tie outs are placed inside the hollow hole allowing the dog to have 360 degrees of maneuvering. Attached to the tie out is a chain and a snap to hook the dog up to their collar. The dogs learn their range pretty fast and are able to go in, on, and around their houses. We go through a lot of chain and snaps per year! We have thousands of pounds of fish, meat, and bones to cut up! Right now Deke is using a Skil Saw or his log splitter. That worked fairly well for some shorter 300 and 200 mile races, but this year we’ll be looking to buy a meat saw for all that processing. We think we can find a used one for $1,000 or less! We replace collars on an annual basis because they wear out pretty easy. The collars we use are required to have Deke's name and the dogs name on them so the Veterinarians can know the owner of the dog and the dogs name during races. These collars have a larger than normal ring in them to make clipping them and unclipping them to the line a bit easier. All dogs go to the doctor, some more than others. Thanks to Aurora Animal Clinic for providing awesome care to all of our kids! We budget $5,000 dollars per year for routine vet visits, but mostly for unplanned more emergency expenses. Some of those unplanned visits in the past have included ACL surgery, Achilles Tendon rupture, and porcupine quill removal! We guesstimate we go to the vet 10 times per year with each visit being about $500 on average. We go through about four 25 Pound Buckets of fiber each year. This is awesome stuff and helps keep the dogs regular! It also makes poop scooping patrol a bit of a nicer chore. Every year our dogs our vaccinated against: Canine Distemper, Hepatitis, Tracheobronchitis, Parainfluenza, Parvovirus, Leptospirosis, Bordetella, and Rabies. We are able to do the vaccinations ourselves, with the exception of rabies. 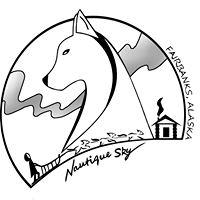 We have some great Veterinarians in the area whom do mass rabies vaccination clinics for mushers. Each dog needs about $20 in vaccinations per year. The kibble we use contains 32% fat and 32% protein. This is at least double of what normal dog food would have. Sled dogs during races and strenuous training will require 10,000 calories per day. This food is soaked in a bucket or a cooler before feeding which helps hydrate the dogs and meat, fish, and other supplements are added to it. We go through over 12,500 pounds (or 250 bags) of this stuff on an annual basis! This stuff is the best healing product for pretty much anything, including Deke! Its made from 25% Emu Oil (anti-inflammatory and anti-microbial) and used on feet, wrists, shoulders, or anything to promote healing. Its basically used as a massage oil before dogs take rests at checkpoints or after training runs. Deke used it on his hands a lot in the Yukon Quest 300 last year with amazing results as well! This product truly is awesome for just about anything you can throw at it. The best snack for dogs is salmon. We are able to obtain fish directly from the Tanana River and it costs about $2 per fish. This kind of salmon is called Chum Salmon, or Dog Salmon because it is caught to feed sled dogs! This salmon has been used for centuries to power dogs and we are lucky we have access to such a great treat! It really helps in keeping the dogs hydrated and they love it and we'll easily go through 300 fish this winter. Dogs perform best on raw meat! Beef, Tripe, Liver, Chicken, Beef Fat, Etc. These prices are the current rate at Underdog Feeds and we’ll be going through thousands of pounds! Some of it is fed with the kibble, some fed on its own. Meat is sold in 50 pound blocks and we think we’ll go through at least 100 blocks over the next year. We buy cut up long bones (usually from cattle) from a nearby meat processing plant. They look delicious, with some nice bone marrow and meat remnants hanging off and in them. Usually one or two dogs will eventually gather them all up at their house and we have to redistribute. One of two 1000 mile races in the world, and known as the most difficult sled dog race in the world. Race starts February 2, 2019! Self-proclaimed as the toughest 300 miles in dog racing, this will be a warm-up race for Nautique Sky. This race takes place on January 12, 2019, 3 weeks before the Yukon Quest 1000. Yukon Quest 2014 Video – Great Snapshot of the QUEST!